A septic system is a self-contained and highly efficient underground wastewater treatment system. Since septic systems treat and get rid of household wastewater, they are usually more economical than centralized sewer systems in rural areas where the property is larger and houses are spaced apart. Septic systems are very simple in design, making it less expensive to install and maintain. How Long Do Septic Systems Usually Last? Septic systems are meant to provide long-term treatment of household waste if operated and maintained properly but most systems tend to fail prematurely because of improper maintenance. Although septic tanks are durable, it can sometimes deteriorate or have other structural difficulties. How Can I Tell If My Septic System Fails? If you have a septic tank overflow this can cause your sinks and toilets to back up. Other signs include backed up toilets, contaminated well water, or a noticeable sewage odor. Preventing future septic problems is all about maintenance! If your septic system has been well taken care of, you might just have small pipe issues rather than a whole septic system failure. Inspect your system every year and be sure to pump (typically every 3-5 years), avoid excess water usage, and be cautious of what you put down the toilet. Always remain cautious of what goes down your toilet and sinks. This is a very helpful way to prevent a septic failure. Only flush human waste and toilet paper. Avoid flushing down dental floss, cat litter, hair, cigarette butts, cotton swabs, paper towels, diapers, condoms, dryer sheets, and even certain feminine hygiene products. All of these many items could easily cause a septic failure. A high water condition is when the water does not leave your septic tank as fast as it is entering. The septic tank water level should be at the bottom of your outlet line. If you don’t have good maintenance habits with a consistent pumping routine, call a septic professional as soon as you can. If you continue to have a problem after your system has been pumped keep in mind that it may be from poor soil conditions or a build-up of solids from poor maintenance. Will My Septic Tank Last Forever? Unfortunately, septic tanks do not last forever. The lifespan of a septic system really depends on how well it was installed and maintained. 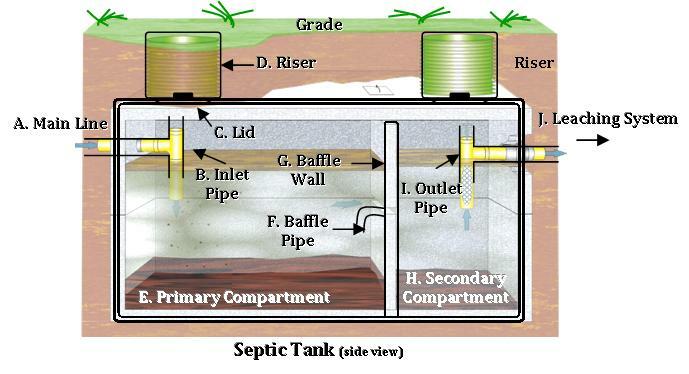 The lifespan of a septic tank also depends on how much it has been used. Moreover, by pumping your septic tank frequently, it can save you a lot of money in the future. FOR MORE ANSWERS TO YOUR QUESTIONS!